If you’re getting back in the habit of using your system and are short on time, the Key fob is the easiest way to arm and disarm. This device is programmed to work with your system and your system only, allows you to simply hit one button to arm and another to disarm. It’s just like a car keychain remote. Use it when you arrive home for a quick disarm. It’s also great for the times you’re in a rush! Rush out the door and just click the button arming your system and be on your way. If you’re tech-friendly and are attached to your smartphone like the rest of the world, the mobile app for your alarm is another easy option for arming your security system. Download the free app on your smartphone or tablet and you’ll never have to manually arm/disarm your system again. With the mobile app, it’s simple as opening up the app and hitting a button. The app can be particularly helpful to those who are forgetful. Ever find yourself wondering if you forgot to arm your system? Open up the app and check. The mobile app also has an advantage over the Keyfob. Like the remote, the mobile app is perfect if you’re ever in a rush. 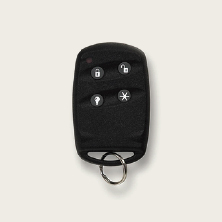 The difference is that while the Keychain Remote’s range is limited to a few yards away from the home, the mobile app can be used from almost anywhere. At work 20 minutes away or on vacation across the country? The app is always in range to arm/disarm. If you’re not attached to your smartphone or just not comfortable using it to arm and disarm, there’s the tried-and-true option of using a computer. As long as you have a computer with an internet connection, your system will never be too far away to access. 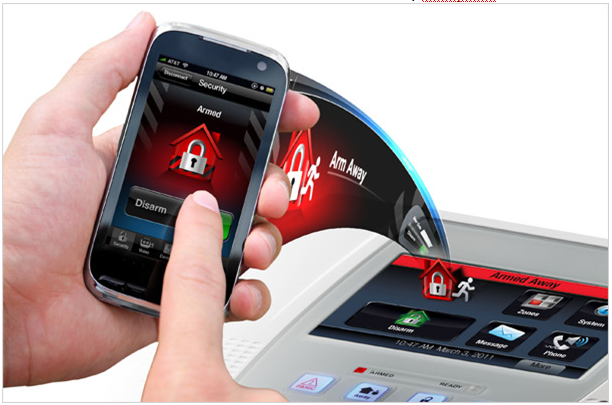 Make it a priority to arm your security system. These features which are available as part of the Interactive monitoring plan with Security One, make it easy to stay on top of your system and protect your home. After all, even the best security system is worthless if it’s not being used.